I haven't test it out yet, will do in a few mins when I am taking the family out for ice cream. Regarding to indicators - That seem to require more effort to remove and replace them, also the LED have to be yellow right? Any recommendation? 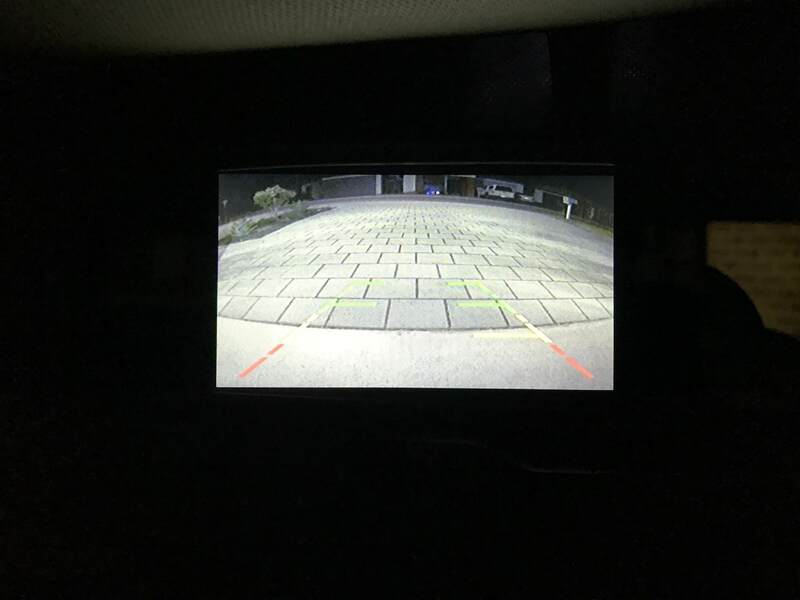 Update: Oh wow, reverse camera at night is no longer grainy. I should have done this sooner. I've noticed they now have an option for 750 lumen bulbs which are currently out of stock ( 10 days till re-stocked ), they might be a better option as the 1500 lumen bulbs are super bright. they might be a better option as the 1500 lumen bulbs are super bright. Too late bro, already paid Now the wait. After all your good recommendations so far, i took your words as gospel. 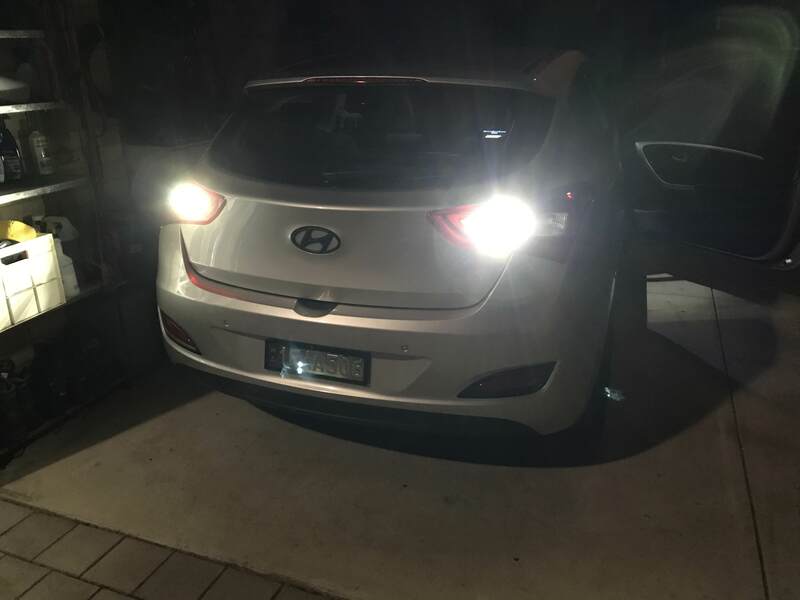 I too got the LED backup lights recommended by CraigB. I had no trouble replacing them in the current model SR but with the daughters GD SR I can't get the old ones out. The holder goes loose when I turn it but will not pull out from the light assembly. I did the same on the new car and it simply pulled out. Is there something different in the 2 models? By the way CraigB your recommendation for these lights was spot on. They are great!! By the way CraigB your recommendation for these lights was spot on. They are great!! Just have to wiggle them around a bit to get them out on the GD, if they're going to be really stubborn you might have to remove the light to do it. As Craig stated they plug straight ini and are superbright. other road users will definitely see you indicating so no worries there. Thought I'd upload a couple of photos to show the quality of the new generation LED reverse lights. Not that the previous were poor at 500Lm but the new one's are a little brighter at 600Lm with fewer LED chips, they also make use of reflection technology which the last generation didn't have. Clarity of revision cam which also shows how the reverse lights illuminate the houses across the road. Impressive. Wish the PD camera was that clear at night. Even with the LED reverse light, still quite grainy. It seem quite clear when I used that on my PD2 - did you get the new LED CraigB suggested bro? Mine are the earlier ones I think. It helped a lot, but still quite grainy. Nothing like the picture Craig posted. I put the globes CraigB suggested into both my daughters GD and my PD and the camera in both is like his picture shows, not grainy. I live in a retirement village and the lights light up the house across the road. Really you cannot compare to old globes. These should be standard. Excuse the pun but the led globes are brilliant. I wasn't kidding when I said they were bright. Hand out those welding masks. it was bright this afternoon - yet just took the family to dinner just then - it is so bloody bright at night - You are sure not lying regarding welding mask. I am gonna do the lazy thing and ask which LEDs are suitable for the boot compartment. I changed the interior festoon globes to LED a little while ago. What I found was the metal section of the standard festoons globes fitted by Hyundai were a little shorter than a standard 31mm globe ( globe overall about 29mm) and also the 2 u shaped contacts holding the globes in where a little closer together. When fitting the new LED 31mm globes the heatsink on the back of the globes shorted on the U shaped retainers. Easily fixed with a little pressure on the retainers to spread them a little further apart. Problem solved. Same with the light in the boot. Also it did not matter what polarity you put the LED's in, they worked in both directions. The new LEDs where the same ones in the link CraigB provided. Big difference in light output and no longer a yellowish colour , now a bright white.